Weed Pro’s fertilizers are awesome, period. Department store fertilizer options don’t come close to touching the specs of our fertilizers. 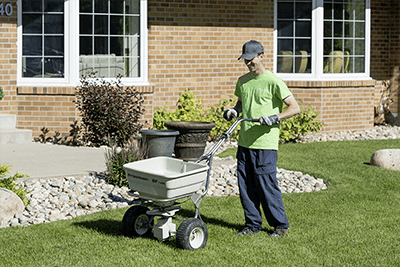 Every program we offer includes three applications of our premium synthetic fertilizer. One of this fertilizer’s exceptional qualities is the way nutrients are packaged. Every tiny granule of fertilizer includes not only N-P-K but also micro nutrients like iron, manganese, and sulfur to name a few. These nutrients are also derived from sources and packaged with a technology that allows the grass plant to easily absorb them. Not only are these nutrients easily absorbed by the roots, the nutrients are released in a controlled manner over a 10-12 week period. 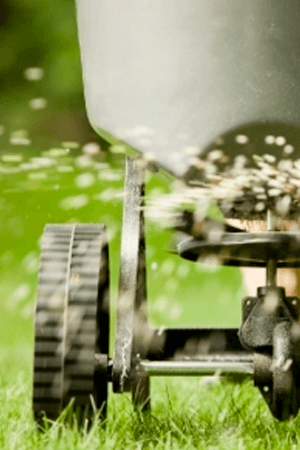 Unlike some other fertilizers, nutrients leaching past the root system and into our water table or evaporating into the atmosphere does not occur with Weed Pro’s premium synthetic fertilizer. Each of our three organic programs utilize arguably the best organic fertilizer in the turf industry. The aim of this product is to stimulate soil microbes and re-mineralize tired soils. The source of the fertilizer’s nutrients and how they are processed is again what sets this organic fertilizer apart in the turf industry. There are many different organic products on the market that put a sticker on its package detailing the nutrients contained within. The problem is that there are many sources/forms of nutrients which cannot be absorbed by the grass plant, and are therefore wasted and give poor results. Weed Pro’s organic fertilizer delivers results. Book today and see for yourself!